Lidl Stiftung & Co. KG operates as a chain of discount stores. Founded in 1930 headquartered in Neckarsulm, Germany, Lidl Stiftung & Co. KG operates as a subsidiary of Schwarz Gruppe. It was formerly known as Schwarz Unternehmenstreuhand KG. It is owned by German entrepreneur, Dieter Schwarz, who also owns the store chains Handelshof and hypermarket Kaufland. The Company offers grocery, apparel, home furnishing, electrical, gardening, and promotional products serving a global customer base. Lidl Stiftung & Co. KG is a retail chain outlet which initially started operations as a grocery store in Germany with 3 people and 500 product lines during 1973. As of 2018, this German global discount supermarket chain, has more than 10,000 stores with operations in more than 28 countries. During 2000 it established itself as a leading retailer in UK. In 2017, it started operations in the US. Lidl has partnered with regional and local farms meeting its strict guidelines and requirements. Each of its private label products undergo meticulous selection process, including quality testing. It strives to keep its customers up to date with the latest and most modern product ranges from across the world. However, 90% of its products are its own private labels which are specially developed to match the high standards of quality, taste and sensory testing. As of 2018, it has more than 315,000 employees. •	“To deliver outstanding customer satisfaction. •	To ensure market leading quality and value by constantly innovating and optimising our efficient processes, driven by technology and people. •	To work with business partners in sustainable relationships, contributing positively to local communities. 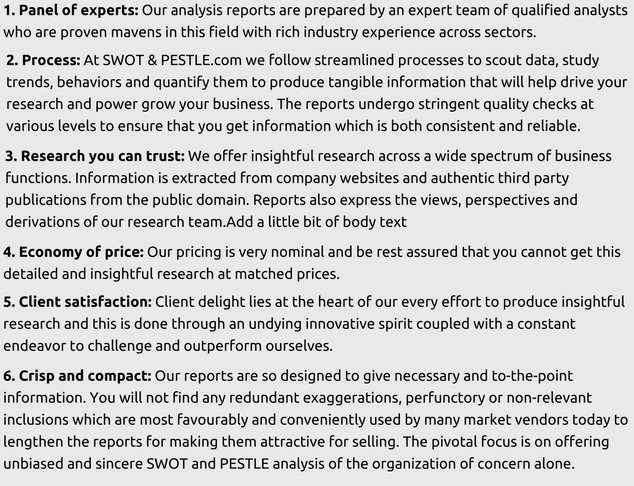 Its unique selling proposition (USP) lies in offering healthy and fresh high value products for a low price, saving big money for the consumers. It is a private owned Company and belongs to Dieter Schwarz, who also owns the store chains Handelshof and hypermarket Kaufland. 2. Strong brand presence, especially in Europe. 1. Opportunity to grow in the USA markets. 1. Price wars from competitors. 1. Rapid expansions plans: In 2017 Lidl opened up new retail stores in the USA. Lidl first established its U.S. headquarters in Arlington County, Virginia. It established a new regional headquarter and distribution center in Cartersville, Georgia in 2017. EUR 100m senior loan was given to German retail chain, Schwarz Group. This loan will be used to support expansion of Lidl format stores in Serbia and Poland. This discount supermarket chain had more expansion plans in the USA throughout 2018 and plans to open units in New Jersey, Texas, Ohio (Dayton and Cincinnati) and Western Pennsylvania. In Germany, Lidl manned 3,200 stores and in FY 2017 – 2018 made its entry into the US, where it operated 50 stores. 90% of its products are exclusive and private brands. In the US, as part of a marketing strategy, in order to assure customers of its products quality it participated in many contests and topped in most of them. At the Dairy Expo championship, Product Competition in Wisconsin, Lidl took home 16 medals, three times more than any other retailer, beating many big national dairy brands. Store Brands named Lidl’s Preferred Selection products were awarded, top innovative products of 2017. Between 2018- 2019 Lidl plans to add 50 to 60 shops a year in UK; compared to 30 shops in 2017. This expansion drive will demand investment of £1.5 bn and give birth to 700 new jobs. 2. Strong brand presence, especially in Europe: Established in 1930 in Germany, Lidl currently has stores all over Europe and now in the USA too. Lidl stores dot every member state of the European Union, except Latvia and Estonia, and are also present in Switzerland and Serbia. This extensive store distribution across the whole of the UK and Europe gives Lidl great exposure. It has a total of over 7000 retail stores in Europe. Lidl also has an online presence, which promote their products and deals that might be running. Lidl launched its foreign expansion in 1988 and is now active in 28 countries. Its international activities contribute to about 70 % of the retailer’s overall turnover and are all part of Lidl Stiftung & Co KG. 3. Incredible growth pace: One can only respect Lidl’s marvelous growth rate: turnover climbed steadily, up 14.1 % in 2013, up 11.2 % in 2014, up 12 % in 2015 to 38.3 billion Euro and grew by 8.8% to EUR 74.6 bn in the FY 17-18 financial year. The giant retailer, achieved tremendous growth in the United Kingdom, Spain (+ 12.5 %) and Czechia (+ 16 %). Sales in 12 weeks at Lidl in 2017 rose by 18.3%. Major growth was seen in its private labels. Lidl, which holds 5% of the UK grocery market, is expected to overtake Waitrose, which has a 5.2% share, as the seventh biggest chain in 2018. Meanwhile, supermarkets’ own label sales rose by 6.0% year on year in 2017 in contrast to a 0.6% rise in branded products as shoppers looked for a cheaper alternative. Lidl witnessed great revenue growth from the following markets - Austria (+8.3% to EUR1.3 bn), Spain (+7.8% to EUR3.6 bn) and Czech Republic (+14.0% to EUR1.7 bn). Strong performance was also accomplished in Sweden (+11.2% to EUR1 bn) where it plans to launch 24 stores in the market over the next couple of years. According to IGD RetailCentre DataCentre research, Lidl’s fastest growing market was the UK. where Lidl’s sales shot by +16% to GBP6.1 bn (EUR7 bn), with 50 store openings in 2017/2018. 4. Strategic business model: Lidl’s sturdy business model is the platform where strong purchase power meets thorough cost management. Having a similar layout across all stores and a limited product range definitely helps employees become more productive. Another contributing factor is the extensive use of shelf-ready packaging. Lidl helps in enhancing its employee productivity by following a similar layout structure across all its stores. It even has a limited product range offering and the displays of its products are in boxes instead of stacking item by item. The employees just have to replace the box when required. This saves a lot of man hours every week. On top of that, the store employees are able to do different tasks, like manning the cash register or stacking the shelves depending on the number of customers. It only carries a limited product range, which not only helps sell large volumes per item, but also limits the supply chain’s complexity and the risk of having too much stock. Lidl business model is all about pulling down prices. The German hard-discount grocers’ stores are no-frills and customised to be highly efficient. With low cap-ex build-out costs, the chain is operated with tight margins to expedite customer acquisition while still passing chunky savings to the customers.This strategic business model helps it in keeping prices of its products low and having an edge towards its competitors. 1. Trump administration policies & Price war in the USA. 1. WebMethods Integration Platform and Enterprise Service Bus. 1. Trump Administration Policies & Price war in the USA: The policies of current govt. in USA regarding giving preference to local brand can intensify the competition. The current drive in the USA regarding 100% American made products and resistance to other foreign companies can be an issue for German hard-discounters like Lidl. An example of this: A red and white flag of the Statue of Liberty, emblazoned with “100% made in the USA”, greets shoppers at the entrance to a new grocery store in Hackensack, New Jersey. Price wars going on with Amazon can be a challenge, as Americans have a sense of giving priority to national companies. 3. Membership of EuroCommerce: Lidl was enlisted as a EuroCommerce member in February 2017. EuroCommerce strategizes to ensure that each of its member companies, small or big, are capable of being competitive, have proper and efficient payment system in place, and is not influenced and hindered by any market access barriers. Some of the ethical consumers consider the EuroCommerce as an international corporate lobby group which can have undue corporate influence on policy makers in favor of market solutions that were potentially detrimental to the environment and human rights. However, most of its decisions are secretive and many campaigners consider them as a threat to democracy, as it gives unprecedented and undue powers to big companies, undermines workers’ rights and weakens environmental regulations. Shipt Online Retail 2018 Acquisition Lidl U.S. relies on Target-owned Shipt for fulfilling online grocery orders and last-mile delivery but the service is not available in every Lidl store. Digital and e-commerce are areas of opportunity for Lidl. Kochzauber Retail and eCommerce 2015 Alliance Kochzauber is an ecommerce company based in Germany which offers a range of recipe boxes at home delivery. It is a startup. Its acquisition has strengthen Lidl in eCommerce. 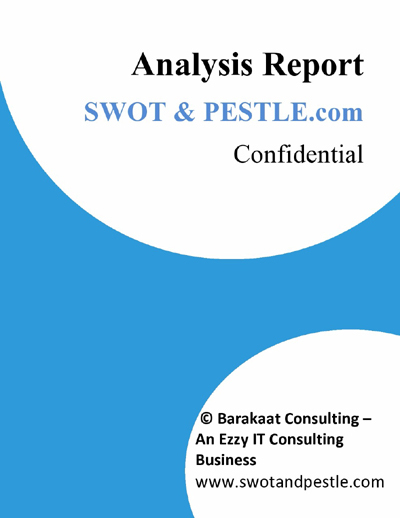 Lidl SWOT and PESTLE analysis has been conducted by Abhishek Panda and reviewed by senior analysts from Barakaat Consulting. 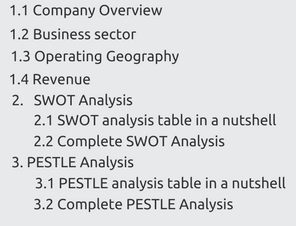 Copyright of Lidl SWOT and PESTLE Analysis is the property of Barakaat Consulting. Please refer to the Terms and Conditions and Disclaimer for usage guidelines.